This bracelet is made to order. It is available in the colors listed. The metal parts are all sterling silver. The clasp is a teapot and teaspoon. 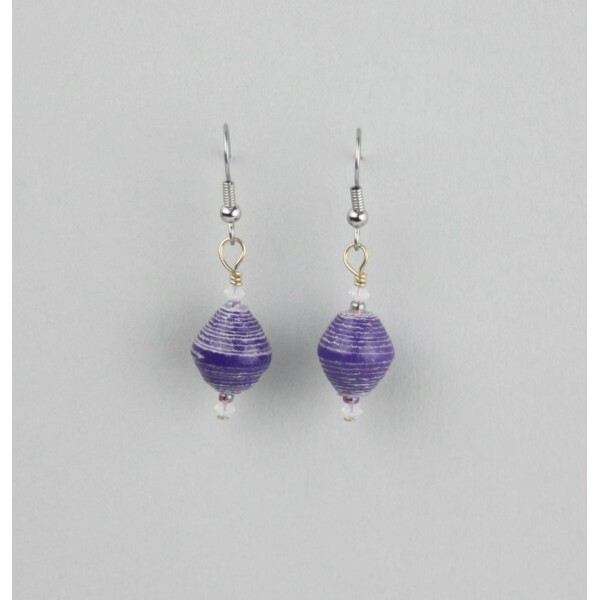 The Sterling silver round beads accent the hand made paper beads. The bracelet in this listing is shown in the first photo. The color choice is yours: blue, orange or yellow. I can made any length you desire. The price is for 6 - 8 inch (155 - 205mm) long bracelet. 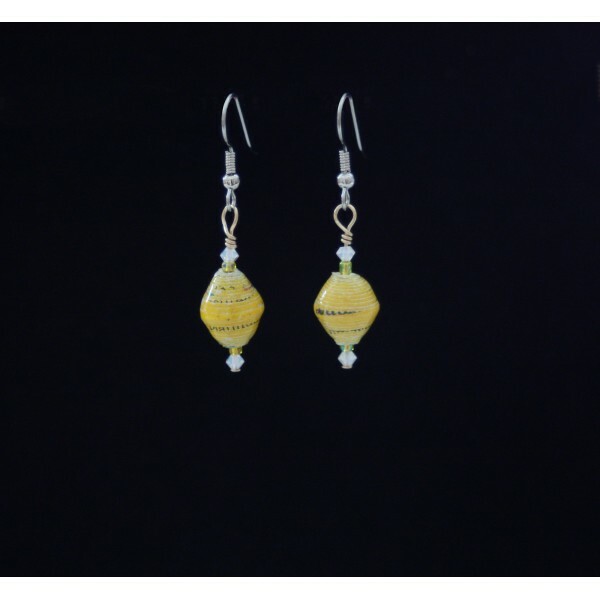 The bead colors are shown in the earrings in the other photos. as a made to order piece, it will take me one to two weeks to make this bracelet. If it is ready earlier, I will ship it. I bought the paper beads which are from a charity that raises money for water projects in Uganda. I am donating $10 of the sale price from the sale of each bracelet back to the charity. 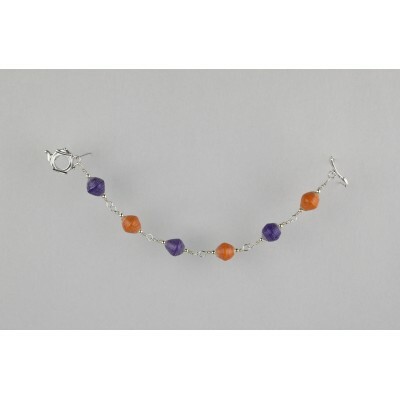 The beads are available in a long thin bead which works well in an anklet or a necklace. Happy to take orders for other items with these beads. Please contact me for details.